How to survive a zombie apocalypse with a scaredy-dog (1) | Random moosages as I see fit. This post is about zombies, in case you couldn’t tell reading the title. Not about peanut zombies, as depicted above (go check out his site, it’s the greatest), but zombies in general. Recently, the CDC posted on their blog a brief list of things to do or have on hand in case of a zombie apocalypse. This is very important. You should always know what to do in case of an emergency and a zombie apocalypse is an emergent situation. This got me thinking about how I would survive a zombie apocalypse. I am apparently already well versed in zombie survival tactics. Facebook told me so. I took a few of the zombie related quizzes and my survival chance was always in the high 90th percentile. I think I would stand a very good chance. But the thing is, I might be in a group that does not know the proper zombie attack survival skills. I mean, what if I was trying to survive with my dogs? I’m not too worried about Choco. She can be pretty stealthy when she wants to be. All I have to do is take off her belled collar and you’d never know she was around. That’s why she wears a belled collar to begin with. She wouldn’t attract the zombies’ attention. But what about Yaris? Yaris is a bit of a scaredy-dog and she is not stealthy. A friend often comments that her stealth rating is in the negatives. That’s not stealthy at all (yet she still manages to catch and eat birds, but more on that another time). Yaris might be so unstealthy that she’d end up attracting a lot of unwanted attention. Well, basically any attention from the zombies is unwanted if the end goal is survival. Anyway, what if she were like Captain Falcon and kept announcing her sneak? This would be a problem. Or…would it? 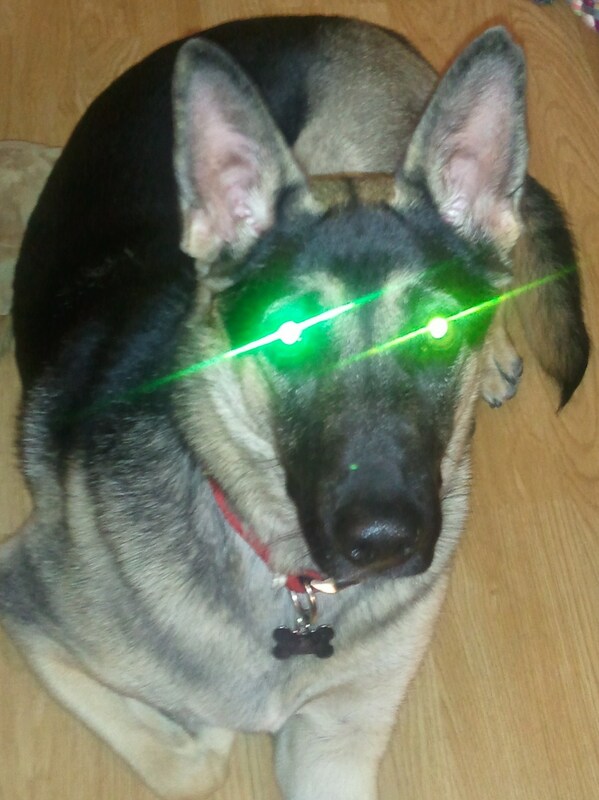 Zombies seem to be pretty willing to accept German Shepherd Dogs (GSDs) as their leader. I’m not entirely sure if it’s only Hasta Mia that they’re willing to accept or if it’s all GSDs. Seeing as how her brother was able to approach the zombies too and he’s also half GSD, I would say that zombies are just very tolerant of GSDs in general. Yaris is a GSD. The zombies might just ignore Yaris. That would make her less of a liability to have around. It might even get us close enough so that I could try Dr. McNinja’s technique for disabling zombies in close quarters when you cannot swing a weapon. But wait, Dr. McNinja is a ninja and has had a lifetime of ninja training, you say. How will you be able to mimic his technique? Well, it’s true that I have not had a lifetime of ninja training, but I am a ninja. Facebook told me so…and Facebook never lies and it wasn’t even a quiz that that told me I was a ninja this time, it was something else…and it’s classified. Anyway, I think I may have unwittingly taken some of Frans Rayner’s ninja drug and became a ninja that way. Anyway, because of that, obviously I would also be able to use Dr. McNinja’s method of close quarter fighting. I would really like to try it out. I guess if all else fails, I can always try and find a raptor. Zombies are afraid of raptors. Oh, oh! Yaris has well-developed Yaris Beam! How could I forget? Choco’s Choco Beam isn’t fully developed yet, or it could be that she’s being stealthy and isn’t letting me know that she has full function of her Choco Beam. At any rate, they’re both pretty smart dogs. 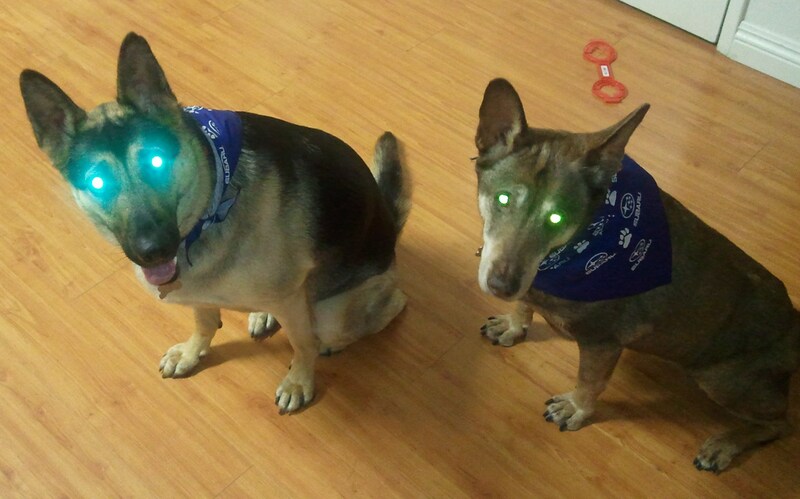 I’m sure they could be trained to unleash their respective beams to zap and/or fry zombies when necessary. Maybe Yaris isn’t such a liability after all. But she still wouldn’t be any good as a military dog. This post was made possible by: Terry Border, Chris Hastings, Ethan and Malachai Nicolle, Matthew Taranto, the CDC, and zombies everywhere (the Western kind, not the Chinese hopping kind, more on that some other time).